In addition to the benefits I felt in my horses that were working, Keely has worked with two of my horses during rehab. Both Avatar and Emma showed marked improvements after only one treatment, it really is quite remarkable! My older dog Dandy, who has hip problems, was so much happier after her treatment that she was pulling me around on our walks. I can not recommend Cavallo Pulse Therapy enough!! 5 stars!!! Seriously isn't a high enough rating for how incredible PEMF therapy has been for my horses!! I've had the absolute joy off adding Cavallo Pulse Therapy to my therapy program this year and honestly how did I ever manage with out. PEMF has proven more responsive to horses with injured tendons and allowing them to heal months faster. My horses will always feel their best especially after their long Cross Country runs!! PEMF therapy will always be my #1 choice for the maintenance of my happy horses!!! Keely is a young professional, who brings her knowledge and experience of horses every time she treats a client. I was thoroughly impressed with her patience with my nervous mare (not because of the PEMF machine, but because she is apprehensive of new people). Keely took the time to reassure Cora, as well as explain the therapy in detail to me - even to the point of allowing me to try it on myself. 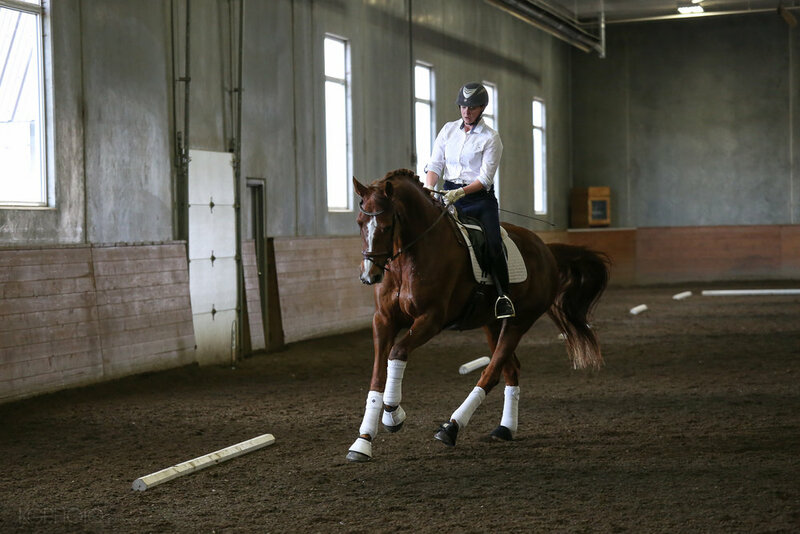 After one session with Keely, my mare was loose and relaxed, and felt eager to be in work. I would recommend Keely to any of my friends or clients, as an additional therapy to help keep our equine athletes on top of their game. I've used massage and chiro on my horses before and when I first heard of this pulse therapy I thought I would give it a shot. I noticed a significant difference on my thoroughbred gelding who can be quite tight. He was more relaxed and loose in his body the day after his first treatment. PEMF is now a part of all my horses maintenance program. Years of working on cars and being a side sleeper did a number on my back and right shoulder. I tried Chiropractic and Massage a number of times with no real success, after the first treatment I noticed a difference, you could see/feel the muscles reacting to the pulses and calming. After a few treatments I noticed that I was getting fewer aches and pains in my back/neck and shoulder. Definitely will continue with treatments.